This renewed optimism was evident at this week’s Coaltrans Asia conference on the Indonesian resort island of Bali, where much of the discussion among delegates at the region’s biggest coal event was on plans for new capital spending and boosting output at existing mines. But – and there is always a “but” for the coal sector in recent years – the exporting miners have to face the uncomfortable reality that the two biggest importers in the world, China and India, are now markets where policy decisions are the main drivers, not supply and demand fundamentals. This makes the long-term outlook for the seaborne coal market hard to predict and therefore difficult to plan for, presenting a tricky dilemma for coal mining companies in top exporters Australia, Indonesia and South Africa. The research consultancies a mining company may employ, for example, provide what seem like reasonable demand assumptions for China and India, based on current trends and likely future energy needs. But their assumptions can be rendered nonsensical very quickly by unexpected and unpredictable policy shifts in Beijing and New Delhi. Last year’s surge in China’s imports is a case in point, although this was a policy change that was positive for seaborne coal exporters. Beijing mandated that domestic coal mines had to cut their working days from 330 days a year to just 270, which drove down supply, lifted local coal prices and led to a demand-driven spike in imports, which jumped 25.2 percent to 255.5 million tonnes for 2016. Prices also surged, with the benchmark Newcastle Index jumping 132 percent from January 2016 to a peak of $109.69 a tonne in the week ended Nov. 11, although it has since retreated to $72.42. Coal imports in China, the world’s biggest importer, producer and consumer of the fuel, have continued to show strength in the first four months of the year, gaining 33.2 percent over the same period in 2016, according to customs data. 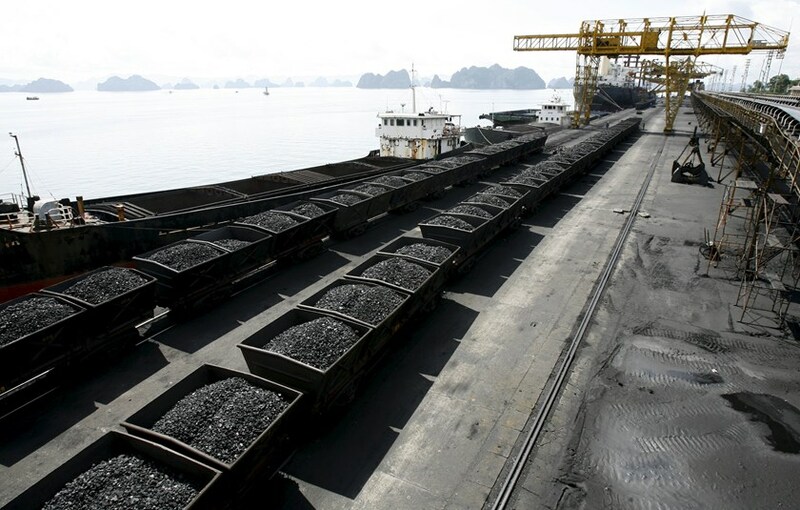 This paints a very positive picture for the coal miners that supply the seaborne market, and not just in Australia and Indonesia, with smaller exporters such as Russia and the United States also eyeing the Chinese market. But policy risks are once again rearing their head, with state radio reporting that China’s government will curb imports of low-grade coal as part of efforts to rebalance supply and demand. While new rules have yet to be published, any move to restrict coal imports on the basis of their energy value or the content of impurities such as sulphur could result in miners taking a hit. Indonesia is the main supplier of coal with a low energy value, often used by Chinese utilities in blending with fuel that has a higher energy content but also more contaminants. Australia’s coal tends to have higher calorific values, for instance, but also contains more sulphur and ash. These two countries supplied about 43 percent of China’s total imports last year, with imports from Australia alone being almost three times more than third-ranked Mongolia. China has also relaxed its restrictions on domestic miners, with coal output rising 9.9 percent in April from the same month last year, the second straight monthly gain. Coal production was up 2.5 percent in the first four months of the year at 1.1 billion tonnes, according to official statistics. China has also suspended approvals for new coal-fired power plants in 29 provinces, with authorities citing over-capacity and flagging that more provinces may be added to the list. The willingness of the authorities in Beijing to change rules and regulations to meet shifting policy goals makes the work of forecasting imports little more than a guessing game. It’s also becoming more challenging to work out the likely path of imports in India, the second-biggest buyer of coal from the seaborne market. India briefly became the top importer in 2015, but China regained the crown last year and on current trends looks set to keep it, notwithstanding some recent policy decisions that may lower China’s imports. This is mainly due to New Dehli’s policy of trying to cut out coal imports entirely and use only domestic production. Like many policy goals in India, this is a heroic aim that’s unlikely to be achieved, especially given that the South Asian nation is short of coking coal, used in making steel, a key industry that New Delhi wants to expand. However, the mere existence of an import target of zero means it is unlikely that India is going to be a growth market. Vessel-tracking and port data compiled by Thomson Reuters showed India’s seaborne imports fell 6.1 percent in 2016 from the prior year to 194 million tonnes. They appear poised to drop again this year, with the first four months showing seaborne imports of 59.4 million tonnes, or an annualised rate of about 178 million tonnes. It’s possible that if Asian thermal coal prices continue to decline that India’s imports may recover, but this is likely a short-term scenario. The long-term picture is for state-owned Coal India to keep boosting domestic output. The main point for coal exporters is that their two major markets in Asia are now inherently uncertain and risky from a longer-term perspective. While there are pockets of good news from other importing countries in the region, such as Malaysia and the Philippines, it’s questionable whether smaller importers can make up for the risk of lower imports by China and India.